VOA — The halls of the former prison in the heart of Iran’s capital now are hushed, befitting the sounds of the museum that it has become. Wax mannequins silently portray the horrific acts of torture that once were carried out within its walls. 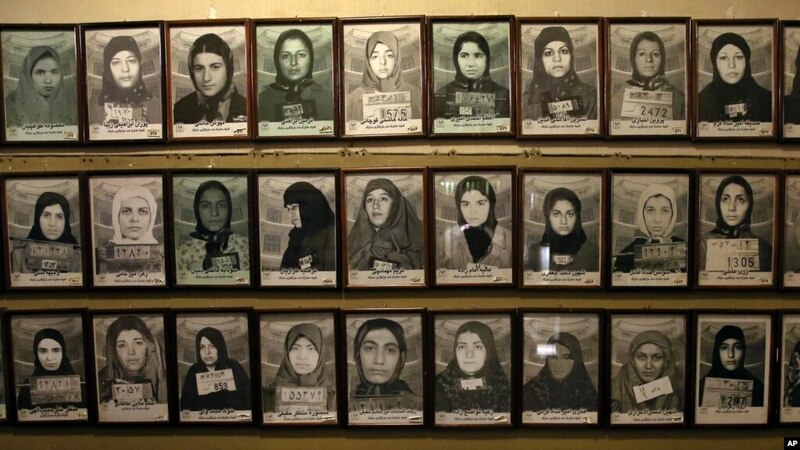 Mug shots of former prisoners hang on the wall at a former prison run by the pre-revolution intelligence service, Savak, now a museum, in downtown Tehran, Jan. 7, 2019.